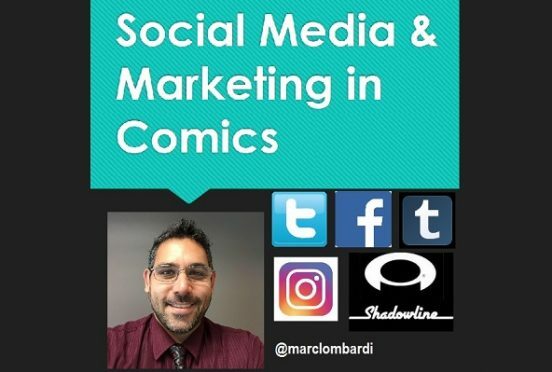 Shadowline Comics’ handler of Promotions and Social Media shares with PCU readers some invaluable tips on how to best utilize social media platforms to maximize their capability. Finishing things after weeks one and two of this three-part series on Social Media and Marketing tips for aspiring comic creators, I am going to focus on two of the most valuable pieces of advice for your social media presence: the general do’s and don’t‘s of social media, and getting the most from your following when you are holding a crowdfunding event such as Kickstarter or Indiegogo. For a vast majority of people trying to find backers for a comic book project who aren’t wealthy enough to empty their own personal coffers on “the next big thing,” turning to social crowdfunding has become commonplace. Sites like Kickstarter offer people the perfect way to even circumvent the troubles of getting a comic project into the direct market via Diamond Distributors and connect directly with potential fans. But something that the most successful crowdfunding campaigns realize is that without a well-established social media presence, you will face an uphill battle in reaching your goal. It’s imperative that months before you launch your campaign you are working to build an audience. You need to have a following to cultivate later on in the process, so make sure that you are thinking about it well in advance. Pepper your followers with teaser images and make sure that as you acquire more of a following that those people are aware that you have a project coming up and encourage them to spread the word. You MUST build that following before it begins or your project will likely fail. Once you have the numbers – consider that maybe 10-20% of your following will actually pledge to your project and maybe another 10-15% will help promote it for you – you can begin the onslaught of self-promotion that most campaigns become. And yes, people who run these things realize how annoying it gets – that’s why it’s important to consider the following once everything is ready to go. Your social media accounts have to become a daily reminder of your campaign. But it cannot be repetitive and dull. It has to be fresh information on a daily basis that is accompanied by a link to the project. It should also be in a format that is easily sharable. Another simple thing to do that works as a permanent advertisement is to make sure that your profile pictures and cover images on your social media accounts all promote the campaign. Even if they don’t have clickable links they should be a very quick visual way of letting your followers and friends know that you have a campaign that is going on. Likewise, make full use of the pinned post feature to ensure that the link to your project is the first thing people see when they click on your profile. You can change this up every week, but it’s imperative that people don’t have to go searching for the way to contribute to your cause. Once people start pledging their support, make sure you share their posts with your social media following by retweeting and sharing their pledges. And of course it should go without saying that you thank them if they post such a message on their own wall. In fact, sharing this sort of information actually encourages others to make pledges to your project; it’s very “Monkey See, Monkey Do” in this sense. Ask followers and friends to share the link to the project but don’t be snarky or upset if they don’t. Getting this support is great, but you don’t want to lose followers over something like this. And in the same regard, make sure it doesn’t seem like you always have your hand out. Are you running a campaign every month? Are you asking people to fund every single comic idea on an issue by issue basis? If that’s the case then you will end up losing people as it’s very difficult to maintain a genuine following when you’re constantly asking people to help prepay for every idea you have. Your crowdfunding project and your social media accounts also will have a a symbiotic relationship. Not only should your Facebook and Twitter accounts direct people easily to your campaign, but it’s important that you make certain that your project page sends people to your social media pages as well. This will help each one feed the other no matter how people have come across your name and your project. Finally, be certain to maximize the effectiveness of your social media following by having people sign up to provide a promotional push using “crowdspeaking” tools like Thunderclap. There’s a catch, however, in that unless you want to pay a fee, most of these sites will require at least 100 people to agree to spread your message in order for it to take effect. You’ll need to get people to agree to donate a tweet or a post as opposed to backing your project (or of course they can do both). Something like this can really work wonders in the final days of trying to meet or surpass the goal for your project. Once your project has been fully funded and the campaign is over, be sure to thank everyone and change everything back to “normal.” And be sure to stay active online in the following weeks to make certain that any new followers have a reason to stick around. You don’t want to let all of that attention go to waste. Speaking of which, this leads me to a good list of some more common issues to consider when using social media that previously went uncovered. The most obvious advice is to BE HUMAN! In other words, people shouldn’t feel like they’re interacting with a robot. Stuff like auto-responses that get private-messaged to people when they follow you come off exactly that way, though. Many people do this, but it’s very off-putting and I know of plenty of fans who immediately unfollow a person over tactics like that. Similarly, make sure that your first direct interaction with someone isn’t a pitch to buy your book or crowdfund your project. Spamming a new follower with a link to your work is tactless and in some cases redundant because purchasing your work may be what sent them to your social media account in the first place. Calm down, cowboy – get to know people before immediately jumping into sales mode. I mentioned in week one about being yourself online. This also means that creating accounts for fictional characters from your comic book projects is not a valuable way to spend time. It only dilutes your ability to interact with fans and more often than not does nothing to help develop your brand. You are much better off telling people about your character from your own account rather than pretending to be someone you’ve created. Once you’ve gained enough of a following an eventuality that you’re going to have to face is dealing with trolls and online bullies. It’s very important to learn how to disengage from taking part in pointless fights. Not everyone is Dan Slott or Nick Spencer and can survive the reputation that comes with fighting back against every bad review or negative tweet with a full on assault. Most people would suffer from having their reputation dragged through the mud, so my best advice is to move on and ignore someone who just seemingly wants to pick a fight. By engaging you’re only giving them more power, and quite frankly they have less to lose than you. I’m not advising that you don’t stand up for yourself, but understand the difference between a troll and a threat. If someone is harassing you online, be sure to mute them or block them. If it’s something that really makes you concerned you should report the person and the activity to the website and remove yourself from the situation as best as possible. Keep an open mind. Understand that you may be WRONG from time to time. Being stubborn and arguing for the sake of arguing might make you someone entertaining to follow, but that only works if you have somehow monetized your social media account and don’t care if people buy the projects you’re working on. Be keenly aware that social media is not a water cooler – there is no such thing as a private conversation. Anything can be shared or screen-capped, even if you’re careful. Make sure that anything you say online, even in confidence, is not something that you’d be ashamed to see make it to a wide audience. Social media is in essence ALL AGES, so unless your work is adults-only try to keep your account as clean as possible. That’s not to say that you shouldn’t curse or discuss things online that are of adult nature, but just be aware that your language and subject matter could reach a younger audience and have some unintended consequences if you’re dropping f-bombs in every other post. And while social media is of course an extension of you as a person, make sure that you understand that sharing your thoughts on topics such as politics and religion can push people away as much as they could draw people towards you. Be as vocal as you wish, but understand the consequences of such issues. As such, sharing problems and issues in your own personal life unrelated to your work can also have a negative effect. No one wants to feel like they’re following Debbie Downer. This is not to say that you can’t share bad news, but don’t air dirty laundry for the sake of it and understand that you are going to have to deal with any fallout for your involvement in such drama. And on the subject of drama, don’t use social media to talk negatively about other creators in the industry. You never know what publishers you may be working with down the road and how that could burn a bridge and prevent any future work from coming to be. Also, be sure to stay out of any conflicts that have nothing to do with you. If two of your peers are arguing online, the last thing you need to do is insert yourself into their feud. Watch the mess unfold from afar and stay above the fray. Controversy doesn’t equal popularity, and yes, there IS such a thing as bad publicity. Unless you want to be known for being a jerk, carry yourself online as if you’re in a room full of your bosses, your family and people who you greatly respect. This concludes what I hope is some valuable insight and advice on social media and marketing for comics professionals. If you have any questions on anything that was covered, or would like any additional information or advice you can leave public comments that I can answer or you can email me directly at supermarc@gmail.com. Thanks for reading and I’ll see you online! 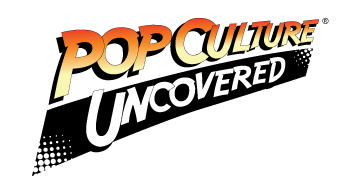 Marc Lombardi is a proud geek of the comic, movie and television variety with a dash of gamer. He's a social media maniac on Twitter (@marclombardi) and Facebook. Marc also handles Promotions/Social Media for Shadowline Comics, a partner company of Image Comics, and is a former Writer, Editor and Talent Acquisitions Specialist for GrayHaven Comics. Marc lives in Pennsylvania somewhere between Philadelphia and Allentown with his wife Nicole and their 5 cats.